"Just wanted to say thank you so much for organising an amazing stag Laura! Everyone had a great time and the stag is still talking about it so it was a great night all around!" "All went brilliantly! All the lads had a great time. Thank for everything!" "All was good for the stag. Had a great time. 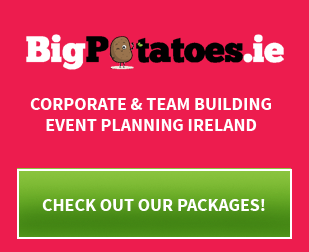 Thanks for the plan & venues 😊"
"We had a great weekend and it was all very well organised. The hotel staff and bar facilities were great for a Stag weekend I couldn't recommend them enough! The game the cube was good fun in the bar." "Many thanks for looking after the stag for us, we had a great weekend! The activities were fantastic and we received great service! It was a great weekend, and we thoroughly enjoyed it!!" 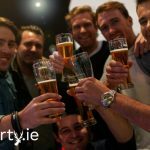 "Having a hand with organising the stag party is always great, but to have it all organised and all you have to do is decide what you want to do is perfect. Everyone had a fantastic time; it was well worth the very reasonable price! Thank you for everything!" "Many thanks to the team. I especially wish to thank Inga and Cliodhna for their patience and understanding. No problem was too big and whilst I was panicking they were calm and very professional and so helpful. Inga thanks so much for everything. I was getting the credit from everyone for a brilliant weekend but really it was all down to you two." "Just wanted to say thank you very much for all your help with pulling together itinerary for our stag last weekend. 20 lads moving on mass would have been tricky at the best of times but we breezed through the weekend between accommodation. We never missed a beat and all souls are just about in 1 piece as a result." "On behalf of all the lads I would like to thanks you for a great weekend in Carrick on Shannon. The Accommodation was great. The highlight for all was the Clay Pigeon shooting. Again thanks a million from all of us." "We had a great time. The stag really enjoyed it. The go-karting and paintballing were fantastic and we had two good nights out. Thanks for all the help!" "We had a great time and everything went as organised. Thanks for all your help and we will of course recommend you guys for any future parties." "We had a blast in Kinsale. The bnb was fantastic, as was the bubble soccer and whiskey tasting. Everyone enjoys themselves. Thank you very much to you and the team for all your hard work."